Despite some touch-and-go moments in recent weeks, the New York Cosmos are alive, will participate in NASL next season and have a new majority owner. 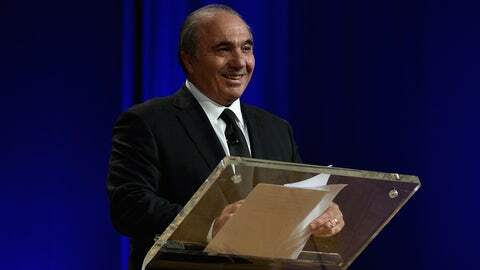 Cable television magnate Rocco Commisso has purchased a majority stake of the reigning NASL champion, replacing the outgoing Seamus O'Brien and keeping the club afloat. SI's Brian Straus reported that Commisso's purchase was contingent on the Cosmos's place in a second-division NASL, and when NASL was granted provisional second-division sanctioning by U.S. Soccer Friday night, it paved the way for the sale to go through. Commisso, 67, is the founder and CEO of Mediacom Communications, which is the country’s fifth-largest cable company. He was a player at Columbia University in his youth, and the school's 3,500-seat soccer stadium is named after him. The Cosmos will be one of eight teams in NASL in the 2017 season, and they'll return with manager Giovanni Savarese at the helm, the club confirmed Tuesday.